This is the third post from my trip to the beach. These are my point and shoot camera shots. Mainly scenery and interesting things. It is quite handy to have a no-brains-needed point and shoot camera to take touristy shots. This is where the Bega River empties out into the sea. A track to the next beach. 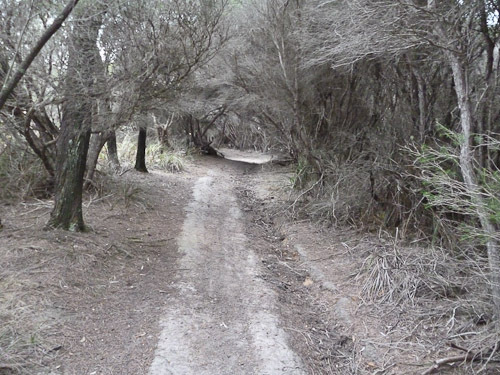 And the track to the next beach covered over with dense tea trees. 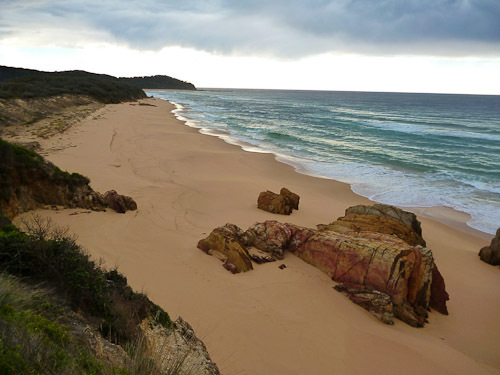 This is the beach between Gillards Beach and Middle Beach. I have no idea what it is called. There is a big lagoon behind the sand dunes. 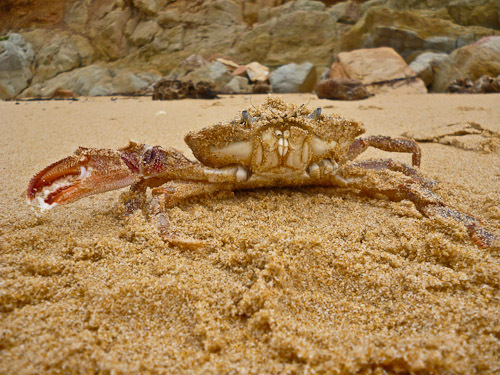 I nearly stepped on this poor crab with only one claw. He became really aggressive towards me even though he was half dead. He reminded me of the knights of nih! 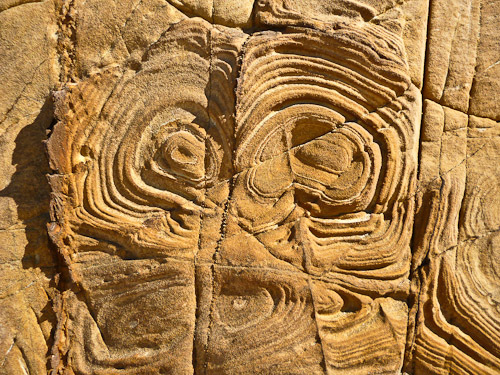 These were eroded because of different layers in the sandstone. I am pretty sure it has not been carved by aboriginals.